Use the At Home Body Fat Scale to help your members reach their weight loss/gain goals in the privacy of their own homes. 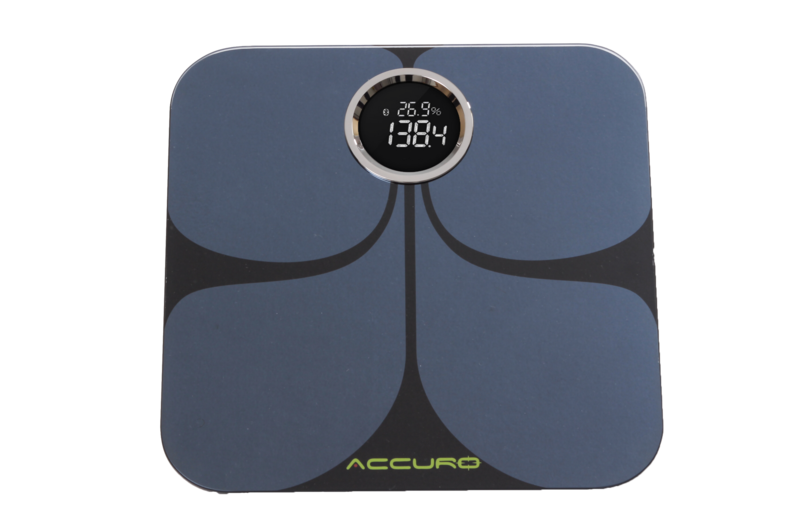 The At Home Body Fat Scale can be packaged in a program or included in membership fees as a way to attract and retain members. Utilize this and the SmartScale+ (DB220/DB221) to easily organize and manage 90-day challenges within your facility. The connectivity of Accuro products with the Accuro Health App makes it simple to implement and manage the complicated program. Accuro helps you improve the member experience and increase member satisfaction. Eight user accounts can be registered in the scale memory. “USER” button is designed to toggle between registered users for easy identification.